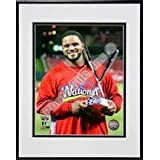 Prince Semien Fielder (born May 9, 1984) is an American former professional baseball first baseman and designated hitter. He played in Major League Baseball (MLB) for the Milwaukee Brewers, Detroit Tigers, and Texas Rangers. 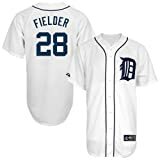 He was selected in the first round of the 2002 Major League Baseball draft by the Brewers out of Eau Gallie High School in Melbourne, Florida, and spent the first seven years of his MLB career with the Brewers before signing with the Detroit Tigers in January 2012. In November 2013, he was traded to the Rangers, where he ended his playing career due to injury in 2016. 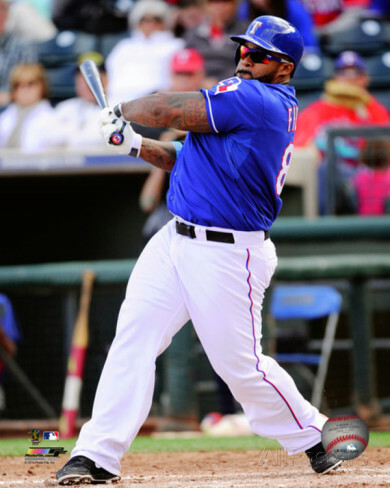 Fielder is a six-time All-Star. He holds the Brewers' team record for home runs in a season, and is the league's youngest player to hit 50 home runs in a season. He became the first Brewer to win the Home Run Derby, defeating Nelson Cruz in the final round of the 2009 derby. 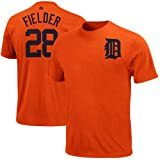 He also won the 2012 derby, joining Ken Griffey, Jr. and Yoenis Céspedes as the only players to win more than one derby and becoming the first player to win the Derby as both an American League and a National League All-Star. 2007 and 2009 were Fielder's most productive seasons. Below are his numbers for those years. For his career stats, click here. 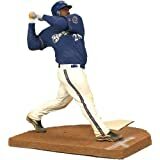 Featured here are Prince Fielder posters, photos, giant collectibles and apparel. Copyright © 2004- by Ace Toscano. All rights reserved. We are not affiliated with MLB or MLB's official site.